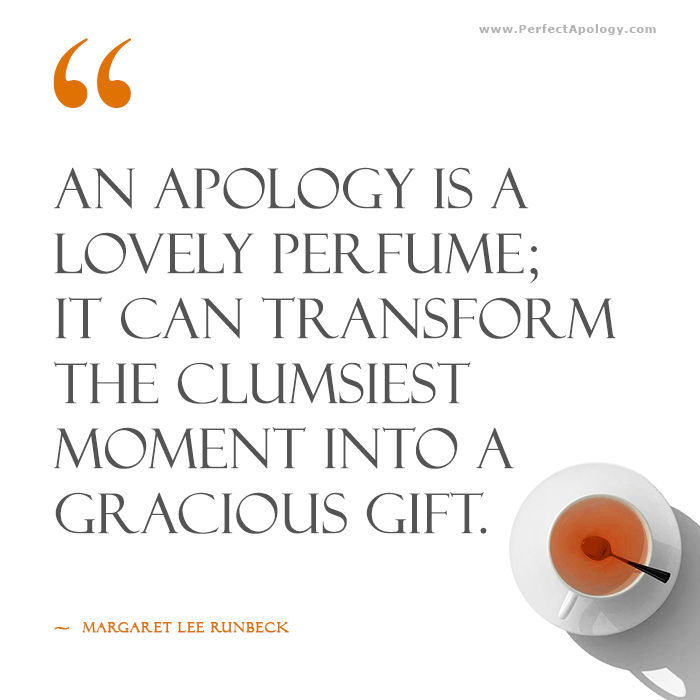 Apology quotes are a great way to learn about people's views on saying sorry and how different situations are handled by others. They can also enhance an apology when they're used to illustrate a point, or convey feelings that you find difficult to put into words. Apologizing is hard for most of us but a necessary action if we want to remain connected to friends, family and community. Looking at how others have said sorry or how they view the act of apologizing helps us figure out how we feel about things, and how we should respond in our own life. While some of the quotes listed below are humorous and others profound, they provide us with more insight into the world of apologies. The entertainment and sports industries have been particularly forthcoming and have provided us with countless quotes about apologies. Some of the more interesting ones that we've found are in this first group. Even the queen of television herself needed to say sorry for defending James Frey, author of 'A Million Little Pieces'. For lengthier celebrity apologies, videos, and our review of how well they fared with their mea culpas, visit our public apology pages. This next set of quotes about apologies come from renowned authors and profound thinkers. “Never forget the nine most important words of any family: I love you. You are beautiful. Please forgive me. ~ H. Jackson Brown Jr. 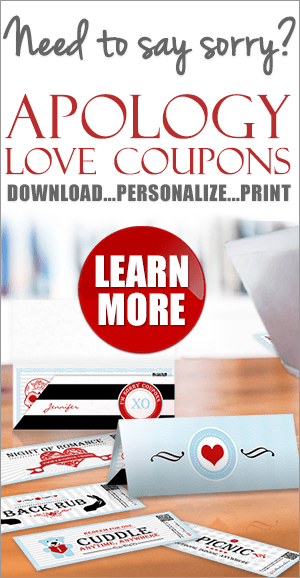 These quotes on apologizing are suitable for him or her, or anyone else. If you know the names of any of the people who thought up these gems, please contact us so we can give them proper credit. The apology quotes below are all politically related. For those interested in the more sordid side of politics, we also provide a complete listing of Bill Clinton's apologies following the Lewinsky affair. “Forgiveness is not an occasional act, it is a constant attitude. ~ Martin Luther King Jr. 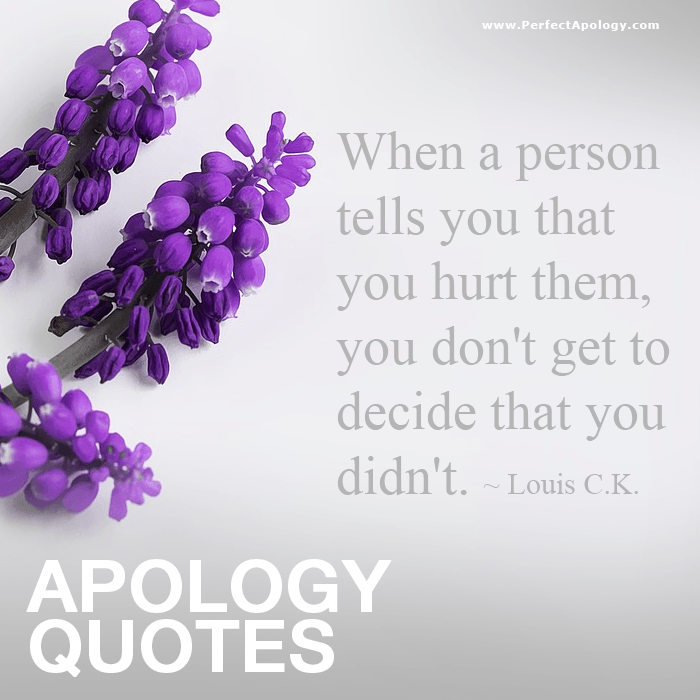 Learn how to use quotes in your apology or check out our list of the best quotes on regret.